Everything you do and everything you put into your body will affect you. If you want to feel stronger, you need to have better nutrition. Food isn’t just something to fill you up. It is the fuel to run your body more efficiently. It is the fuel you need to motivate yourself to do things every day. The more nutritiously you eat, the stronger you get; both mentally and physically. The things you eat can help you to look younger and act younger as well. In addition, the way you eat can help you to live longer as well. Are you ready to be stronger and feel stronger too? If so, you need the tips about what to eat right here today. 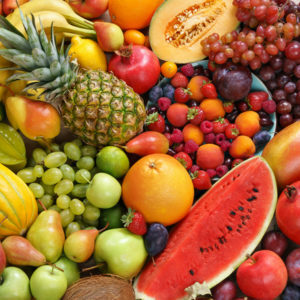 The fruits and vegetables that you eat should be 2 ½ cups of each per day. At least once each week you should make sure you are eating tomatoes or some sort of food that is made with tomatoes. They provide you with many health benefits and help to improve your strength as well. You will also need to make sure you are getting a minimum of 5 – 1 ounce servings of foods made with whole grains every day too. If you are currently eating refined grains you need to be replacing those with whole grains. These foods might consist of bread, pasta, cereal, oats and brown rice. You should also be eating between 2 to 4 servings of different types of fish each week. 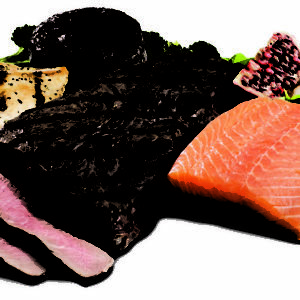 Some healthy examples of fish to eat are salmon and tuna. Fish is loaded with nutrients that will help you build your strength. If you are a man younger than 50 you should make sure to have an intake of 35 grams of fiber each day. If you are a man older than 50 you should make sure to have an intake of 30 grams of fiber each day. Fiber is essential in keeping your bones and your body strong. Another thing to eat to help you feel stronger than ever is unsaturated fats. These are foods such as certain salad dressings, nuts, oils and avocados. You can use these unsaturated fats to replaced high-fat foods and butter. Making sure to get your daily intake of potassium is extremely important. You should be getting approximately 4,700 milligrams each day. Some ways to get your intake level met include milk, fish, vegetables and fruits. Bananas are an excellent source of potassium. In addition to all the above-mentioned tips for feeling stronger, you should take a daily supplement for that extra boost as well. An excellent one many men have benefited from is Ultimate Man Once Daily. Do you want to feel stronger? If so, you are on the right path if you follow the above-mentioned tips! Improve your emotional, mental and physical states by taking in the proper foods each day. Previous ArticleWhen Should Leg Cramps Concern You?